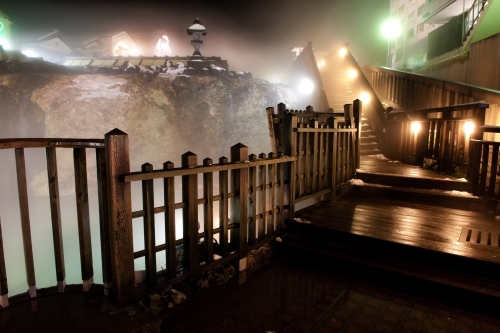 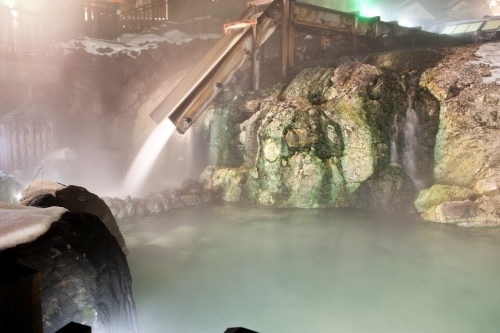 The hot-spring resort where it has been to cure as “good for all sorts of disease” for a long time. 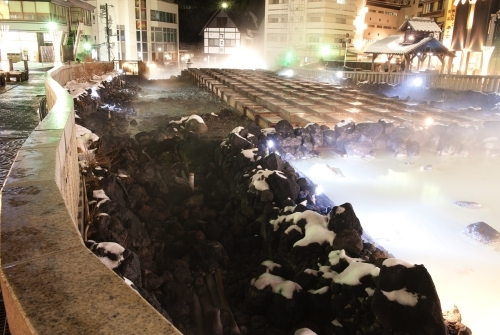 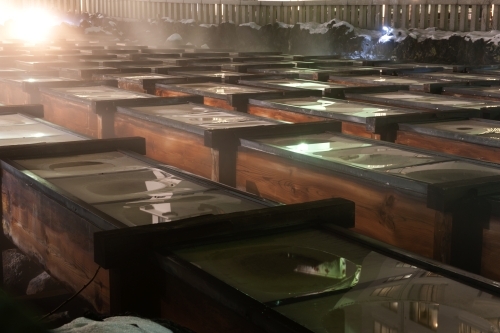 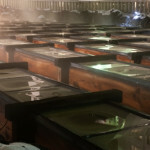 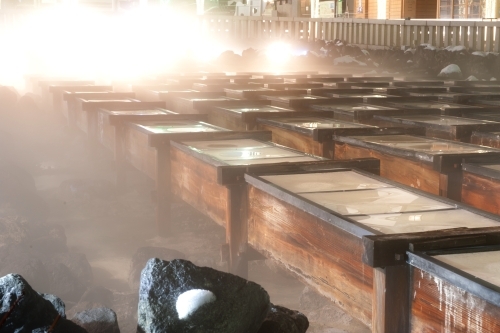 Because quantity of water that there are six large sources and springs out is abundant, and temperature is high by the strong acidity about pH 2, “the Yu-momi” is rummage in hot water with wooden board for lowering the temperature. 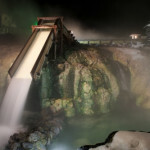 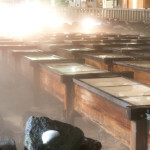 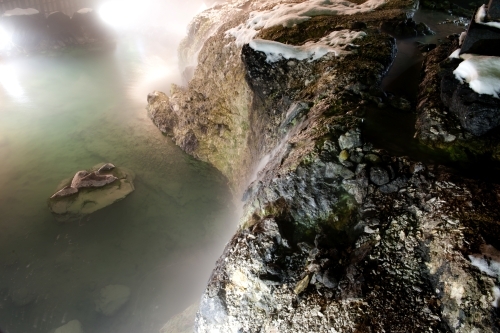 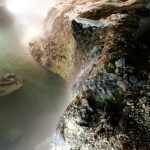 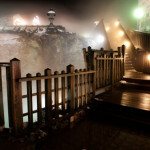 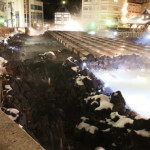 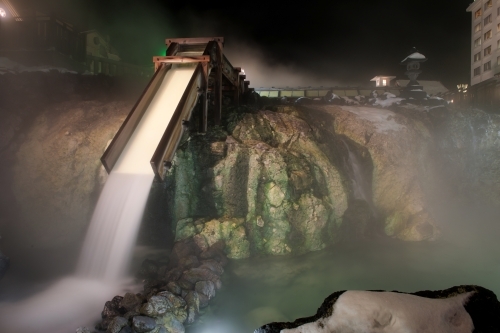 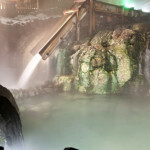 The scene that hot water springs out like a waterfall seems to be rare in the whole country.